If you think you’re a wing expert — or just want to chow down on some delicious fare — On Sunday, May 17, head to Johnny Utah’s and you’ll sample everything from traditional buffalo sauce wings to dozens of other creative creations. Gin Club starts with a welcome cocktail, explantation and introduction, followed by two more cocktails and lively conversation with others guests and the distillers. Just bring a great attitude and your thirst for good gin. This week’s guest distiller comes from Colorado. 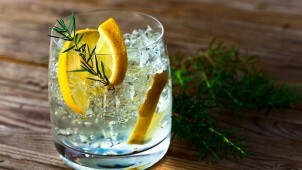 The gin is made with Rocky Mountain artesian mineral spring water for a smooth, pure finish. It is initially floral with notes of lemon zest giving way to juniper spice. 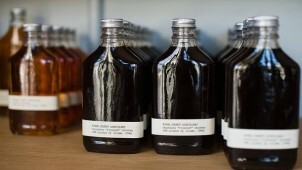 Kings County Distillery has gained national fame for its award-winning bourbon and its unique chocolate whiskey. Now its Master Blender, Nicole Austin, hosts a private, hands-on blending session for you and a few lucky guests. Wine Riot is your all access pass to hundreds of new wines. With two parts education and one part revolution, Wine Riot has reinvented “wine tasting” for the thirsty and curious. Grab a glass and hit the floor — it’s you unleashed against 250 wines from across the globe.